Catalina Maples mounting hardware includes a round gas cap bass drum mount plate and an ultra-low profile GTS mounting system. 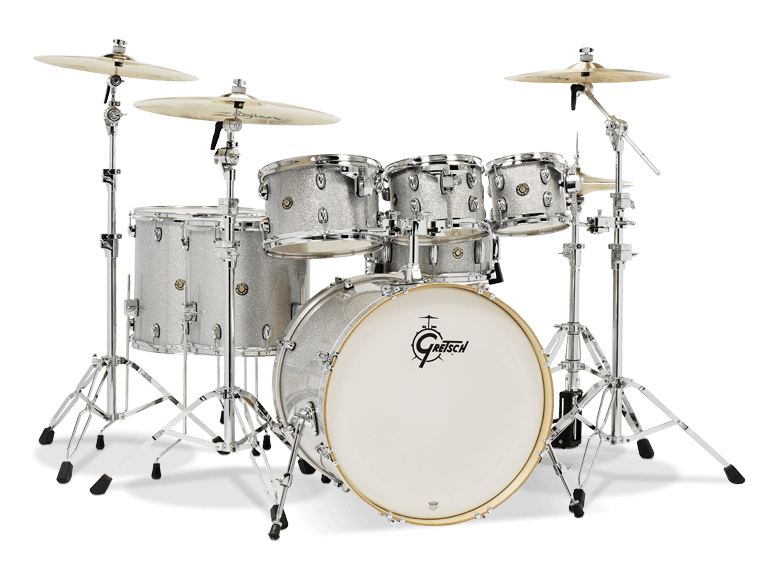 Gretsch T-Wing screws and bolts are included on all fittings for drummer-friendly feel and rubber isolated die-cast bass drum claws help keep bass drum hoops looking new. The 7-ply Gretsch-formula maple shell has 30-degree bearing edges and natural shell interiors. Bass drums include telescopic bass drum spurs and matching maple wood bass drum hoops. Toms and snare drums feature 2.3mm triple flanged hoops. All drums are fitted with Remo drum heads. Bass Drum 22 x 18"
Snare Drum 6 x 14"
Floor Toms 16 x 16" and 14 x 14"
Tom Toms 7 x 8 ", 7 x 10" and 8 x 12"
*Cymbals and hardware sold separately.